The history of Honda convertibles dates right back to their very first production car the tiny S500 sports car of 1963. The Honda S500 Roadster had a high-revving straight 4 cylinder 531cc engine and the cars’s innovative design owed much to the companies motorcycle heritage. The styling however had a more european look and the design which was soon evolved into S600 and S800 proved a success for the growing Japanese company. In more recent years Honda returned to the idea of a small, high-revving roadster with the S2000 as a celebration of their 50th anniversary. This convertible car proved popular around the world as a higher performance alternative to Mazda’s MX-5 Miata. 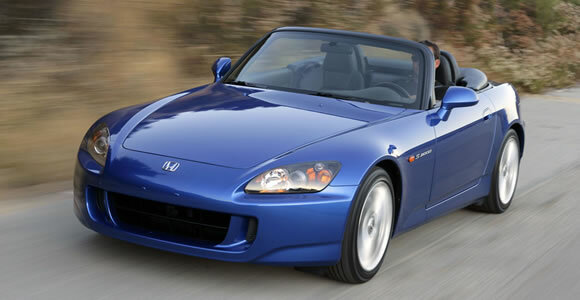 The Honda S2000 had a 10 year production life and is still considered an innovative car today. The majority of sales were in the US however this convertible car sold well in Europe, Japan and Australia.